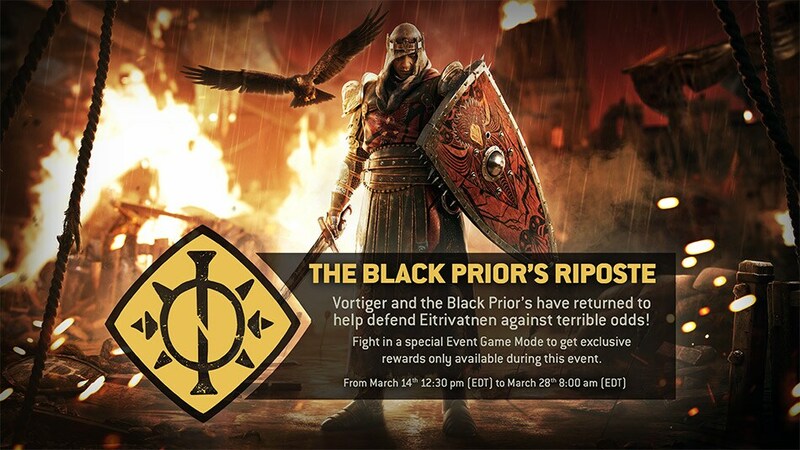 Join us as we kick off our latest seasonal event, The Black Prior’s Riposte! In this event, Vortiger and the Black Prior’s have returned to help defend Eitrivatnene against terrible odds. Black Prior’s Riposte launches today, March 14th 2019, across all platforms! Don't miss your chance to grab the latest seasonal loot! Read below for details surrounding this limited time special event! With the launch of a new seasonal event, we’re introducing a brand new bundle! 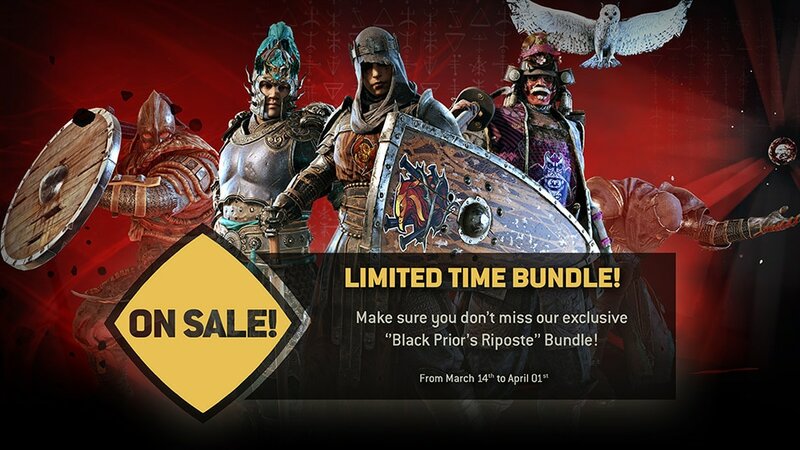 Our latest bundle can be found through the in-game store at 30K steel (40k steel value) from March 14 – April 1. Prices are dynamic and will be adjusted based on already owned items. 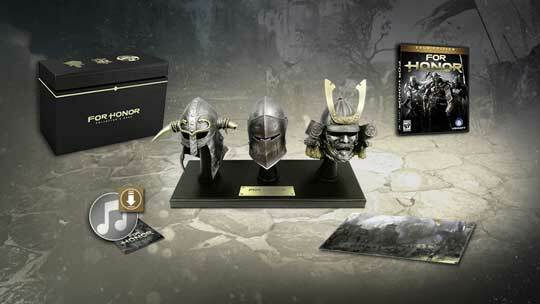 Purchasing The Black Prior’s Riposte Bundle will Instantly unlock the following items. New Anima outfits are now available for all heroes! Check the in-game store today for each outfit at 20K Steel! This week, join in a special game mode during Black Prior’s Riposte with Battle of Attrition! In this exciting new mode, Conquering side zones as attackers, and defeat soldiers and enemy players as defenders to gain points. The first team to reach 1000 points will break the opposite team. Defeat them to win! 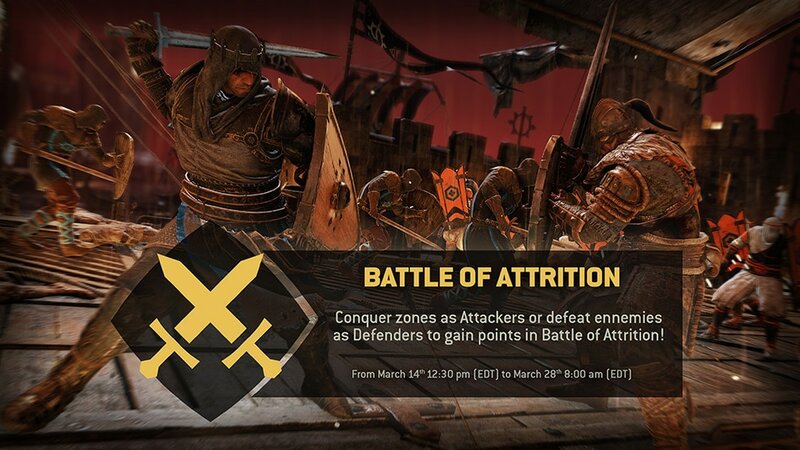 Battle of Attrition begins today, 3/14/2019 12:30 PM EDT - 16:30 UTC until 3/28/2019 8:00 AM EDT - 12:00 UTC. Need a bit of extra steel for brand new event gear? We’ve got you covered with our latest Event Order. 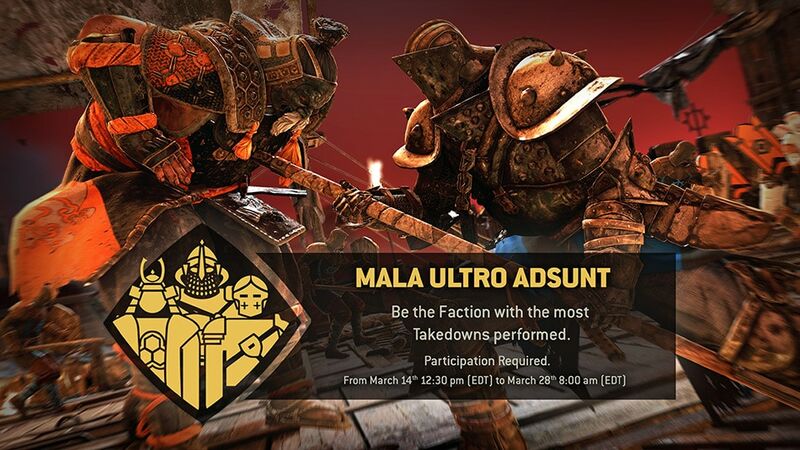 This week, be the faction with the most Takedowns performed to earn a steel reward! Mala Ultro Adsunt starts today, 3/14/2019 12:30 PM EDT / 16:30 UTC until 3/28/2019 8:00 AM EDT / 12:00 UTC. 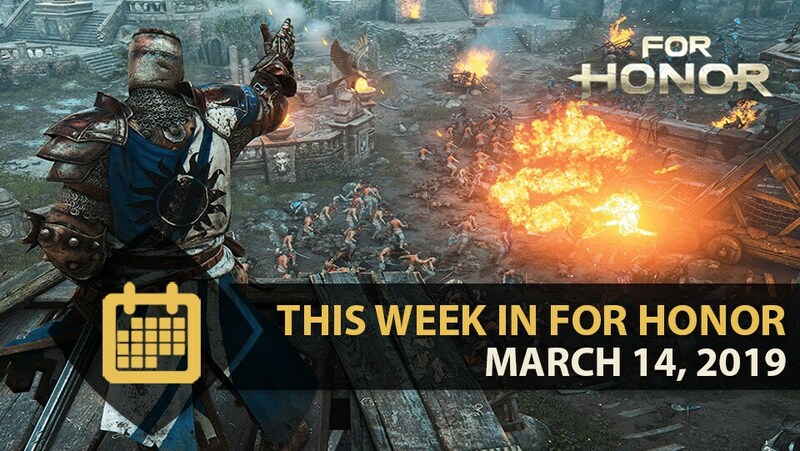 Needing to catch up on the most recent Warrior’s Den Livestream? Catch the full show with the VOD below!